Building on our proactive, research driven, place based funding programmes in Burnley, Corby and Blackpool, we spent the best part of 12 months, visiting Hull on reconnaissance, helping to establish a better understanding of local community need and, most importantly, of how we might help. This resulted in the launch of an integrated, community development initiative, funding 21 programmes, with an initial £1.5M investment. This is a partnership programme in conjunction with the Esmée Fairbairn Foundation, where we look to share responsibility for the funding, delivery, management and evaluation of the overall programme. I became the Hull Associate in the autumn of 2012. I had just retired from the local police where towards the end of my service I had specialised in partnership working. The opportunity of using my knowledge and networks to coordinate the Rank and Esmee Fairbairns Foundations experimental place-based approach to Community Development was too good to miss. It has been a real pleasure seeing the collective and collaborative benefits that the local projects and the wider community have enjoyed. I am looking forward to using this programme and the brilliant City of Culture energy to create a legacy that will maximise the sustainability of what has been achieved. Outside work I enjoy white water kayaking, skiing, sailing, cycling and Rugby League (Hull FC). The Hull Community Development Programme was a three-year proactive funding initiative jointly launched by the Rank Foundation and Esmee Fairbairn Foundation in early 2013. After a period of local reconnaissance and relationship building; twenty-one projects were supported within 4 broad themes of Better Communities, Diversionary Activities, Encouraging Enterprise and Developing Restorative Practice. ‘Engaged Philanthropy’ recognises that problems in disadvantaged areas are multifaceted and that a placed-based approach might be one way to deliver a more holistic methodology. It was hoped that a greater impact could be achieved by concentrating funding, knowledge and expertise in one location. It was an asset-based approach that encouraged and supported those within the programme to work in a more focused and collaborative way. Progress was promising and direct benefits of this placed based approach through a number of innovative and effective partnerships were observed. These extended beyond social sector organisations to the local authority, public sector and the business community. The networking opportunities created bringing the projects together acted as a catalyst for a number of sustainable mutual beneficial partnerships. There were numerous unintended relationships and consequences created that increased social value in the City. Upon completion, all the projects involved stated that they were stronger, more resilient and better connected than they had been prior to being involved. Phase 2 of the Hull Community Development Programme commenced in March 2016 and builds on the strong foundation created by the 21 projects in the initial phase. Whilst those projects may have welcomed the stability created by a continuation of funding it was thought it could create a cycle of dependency. This Phase involves 9 projects of which 3 are brand new. 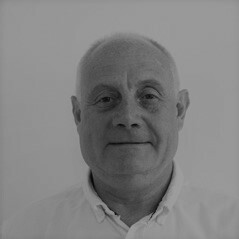 There has been a tightening of focus on encouraging enterprise, which for the existing projects was a natural evolution to the challenges of the present funding environment, however, all Rank Foundation projects are being increasingly encouraged to adopt a more entrepreneurial approach to achieving resilience, which in turn can assist their sustainability. Building on the strong foundation, all projects are brought together through steering groups, this conduit increases knowledge, collaboration and partnerships within the city and further afield. In addition, all organisations involved in the HCDP have access to on-going high-quality support, through bursaries, training and themed conferences. The entire 6-year programme aligns with Hull being the 2017 UK City of Culture, which has been described as a ‘once in a generation opportunity to transform the city’. The optimism this has created and its planned residual benefits will add to those legacy benefits of both Phases. What we have learnt is that a long-term involvement is a necessity, productive stakeholder relationships are critical and that greater benefits are achieved if the funders are flexible to local needs. In January 2017 the Rank Foundation launched our Hull Activity Grants. These grants are open to all charities and community groups across Hull and aim to maximise community benefit. Please click on the link below for further criteria and to access the application form. Age UK Hull has a base that enables it to provide one of the widest ranges of services in the country. However even with a broad selection of supportive options as the population ages older people are increasingly becoming isolated, lonely and living in care homes, in many cases their quality of life is not as good as it should be. This project is believed to be national first introducing Restorative Techniques into elderly and vulnerable adult care procedures. The respectful and supportive methods that underpin all restorative approaches have the potential to bring into the open some of the ‘hidden’ concerns within families and care establishments and again allow older people to have a voice in their own care and welfare. During times of reducing resources in health and social care this can assist clients and families to advocate more effectively. 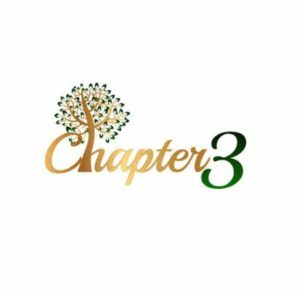 Chapter3 is an exciting and energetic not for profit Community Interest Company helping mature individuals plan enjoyable, productive and fulfilling lives in this new era “age of no retirement”. They support and encourage individuals to make choices and decisions that are right for them and to see the third Chapter of their lives as the gift it is – an exciting time full of possibilities. At Chapter 3 they believe in the unlimited potential of mature people. They see experience, ability, energy and enthusiasm. They deliver a range of workshops, mentoring and business coaching, inspirational events, networking opportunities and engaging presentations all geared towards enabling mature individuals to achieve financially secure and fulfilling lives. 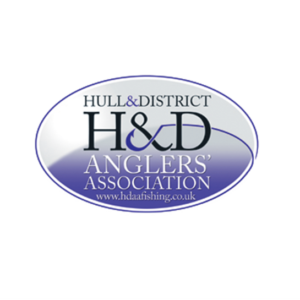 Hull and District Anglers Association have rejuvenated a disused Local Authority pond on the Oak Road playing fields to provide fishing facilities in the heart of the community. There were insufficient suitable locations in Hull and this increased the opportunities for young people living in deprived areas to be taught by volunteer coaches how to fish in an environmentally responsible way. The disability friendly changes to the landscape have meant the venue is now suitable for many other community and educational uses. The venue is used as a conduit to encourage youngsters to try other types of angling and developing from the popular summer evening ‘club’ session’s opportunities for overnight camp fishing for predators at other venues has become popular. Hull Youth Support Trust run a business incubator unit named OneSixOne in Hulls city centre. They provide young entrepreneurs (aged 18-30) with heavily subsidised office space for a two-year period in order to make those first few years as comfortable as possible. Doing so enables their clients’ businesses to grow and develop in the future. This together with dedicated one-to-one business advice and personal support gives every young person the fundamental skills to succeed in business. HYST will look to work with young people who have previously been; unemployed, under-employed, disadvantaged in some way or totally new to the world of business. They enable every young person to take responsibility for their own future and are willing to consider anyone with the drive and determination to run their own business. Humber All Nations Alliance (HANA) is an umbrella organisation representing over 60 groups and is governed by local people. Their members are groups and individuals from black and minority ethnic (BME) and migrant communities and others who share their aims. Since 2002 they have been supporting the well-being of black and minority ethnic (BME) communities throughout Hull and the Humber. They do this by providing a voice and advocating on their behalf and by representing their interests in a range of influential or decision-making contexts, as well as running a variety of services and activities which brings and builds relationships between communities and service providers. 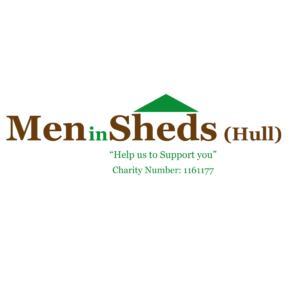 Men in Sheds Hull is a project with the aim of reducing isolation and loneliness for men primarily over the age of 55 in the Hull area. In the ‘shed’ on Oak Road Playing Fields, members of Men in Sheds Hull come together three times weekly to socialise, share and learn skills as well as carry out practical activities like wood and metal work. The Shed provides the tools and resources the men need to work on projects of their choosing, at their own pace, in a safe and inclusive environment. The project also organises social events such as trips to museums and talks on health and wellbeing both at our premises and at other organisations. More generally, Men in Sheds Hull gives a vulnerable demographic an opportunity to socialise, make friends and exchange ideas all while improving their health and well-being in a unique space within their community. 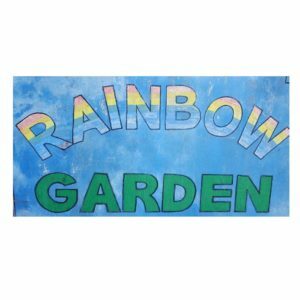 Rainbow Gardens was set up by local-residents in North Hull who discovered neglected areas of land and wanted to unleash it’s potential. They have expanded over the years and transformed many unused spaces into beautiful community gardens across the North of Hull. Jeannie and the team work tirelessly to tidy overgrown areas and convert them into beautiful spaces which grow herbs and vegetables for the local-residents. Rainbow Gardens work in collaboration with various organisations across the city to spread the importance of the environment and to promote the community benefit of such spaces. Rooted in Hull run an urban inner city farm with the vision to create affordable, nutritious produce for the local community. 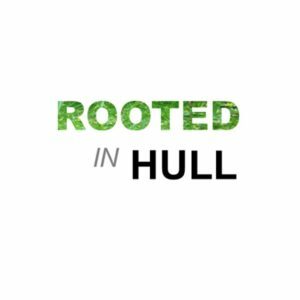 Rooted in Hull’s vision is to create a community space for growing fruit, vegetables and rearing livestock for fish, meat, eggs and honey in the heart of the City, ingredients that reflect the cities inhabitants and their identities and to provide a venue for interpreting, celebrating and showcasing this. The role of the farm will be to provide opportunities for people to learn about food and where it comes from, experience unusual food and understand nutrition. The farm will also be to interpret the impact on the environment of food, farming and distribution. The learning opportunities will be structured to support improving health and wellbeing. The farm will support less affluent communities in and around the city to become more resilient through making informed choices and to increase understanding of, and the contribution alternative customs make to wider society. Together Women Project moves women out of crime into positive futures, working with them in safe, women-only spaces, building resilience and developing strengths that enable them to move away from damaging lifestyles. 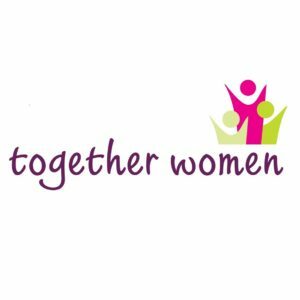 Hull Together Women Project is a city-centre based women’s centre delivering a variety of support and courses within a confidential and safe environment. Their services are designed specifically to meet the needs of women who find it difficult to access mainstream services. Every woman accessing the centre is assigned an individual Key Worker to offer support and guidance around a wide range of needs including housing, parenting, substance misuse, health, benefits and debt, domestic abuse, education and employment and confidence building.